Wooden Post Earrings made by K.C. Peck in Central PA.
Peace Sign, Small (0.35") pictured in Walnut . 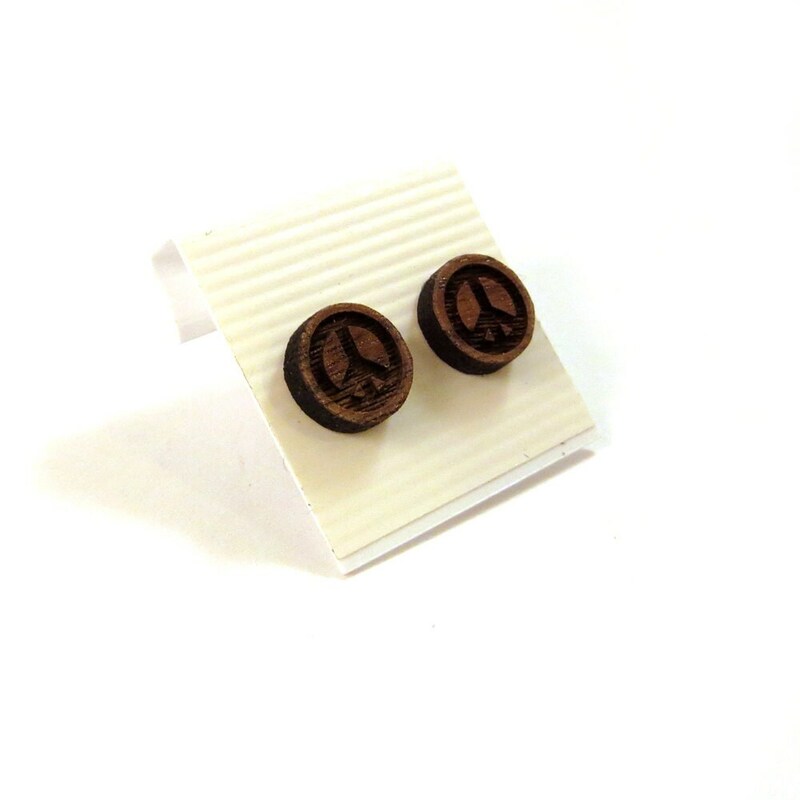 This listing is for one pair of post earrings with surgical steel posts. Made of Oak, Walnut, or Red Stained Maple that is sustainably harvested from the Appalachian Mountains with a growth to removal ratio of 2.29. 100% USA grown.